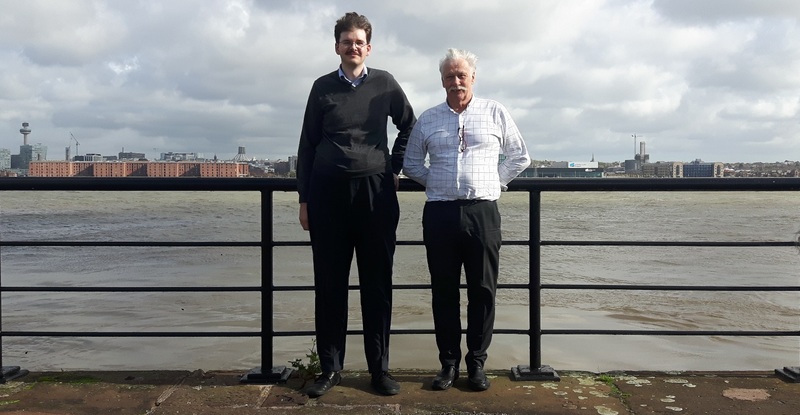 Civil Service Local recently continued its close relationship with two Merseyside-based charities as part of our Autism WIDE project to help promote neurodiversity. Edna from Bootle’s Autism Initiatives approached us to ask if we could help their organisation by setting up a new database to aid their fundraising efforts, which immediately struck us as a perfect fit for our campaign. Fortunately, Owen from HMRC’s HR Shared Services Team in Liverpool, a talented member of the department’s Digital Ambassador community, was happy to volunteer for the task. Through discussions between Edna, Project Lead Jane, Owen and myself we came to an understanding of what was needed and how best to proceed. As Autism Initiatives made it clear the database needed to be held offline, Owen spent several hours finding a workaround to complete functions on Microsoft Excel that he had been able to complete more easily on Google Drive. This culminated in him composing some impressively complex formulae to get the cells of the spreadsheet to function efficiently, only to find that when this was copied over to the charity’s computer system, the files quickly become large and sluggish. After some further trial and error Owen completed a spreadsheet fit to hold thousands of detailed multi-field entries with a streamlined inputting, editing and filtering system over multiple sheets. This allowed their staff to search for individuals by event, organisations by type, trusts by subject and more. He even found time to make the extra effort of creating a feature that draws attention to when reports need to be produced. On discussion of the project, Autism Together’s Fundraising Manager Rick expressed their own business need to have a similar Excel database, this time with a mail merge function for various letter and forms. Owen was again ready to rise to the challenge and swiftly enabled a number of document templates to be populated with customer and event information from the new database at the touch of a button. Taking into account database construction specialist costs, the savings from the project’s inception through research, preparation and delivery stages came to an estimated £350.00 for each charity allowing them to spend more of their budget on the people who need it most – people with autism who need their help, their families and carers. Rick thanked CS Local for our support as Autism Together’s 50th anniversary will approach in 2018 leading to an influx of events that “the system will prove to be a huge asset” in managing. He also singled out Owen for praise, reporting that he “was a lovely guy to work with” and “has done a fabulous job”. Autism Initiatives’ Edna, whose initial enquiry launched the database project, also spoke highly of Owen, thanking him for his time, expertise and clear guidance from start to finish. She was also keen to praise CS Local’s “brilliant” support and rounded out her feedback by telling us the work “has had a really positive impact which will continue for years to come”.